At Honn-Auto Repair, we are experts at service for all Asian made cars including Honda, Toyota, Lexus, Acura, Nissan, Infiniti, Subaru, Mazda, Mitsubishi, Hyundia, Suzuki, Kia, Isuzu, and Daewoo. And we also offer top-notch service on domestic cars and trucks. At Honn-Auto Repair we are capable of handling all of your electrical and mechanical services and repairs. From air conditioning to windshield wipers, we offer complete automotive care. We service a wide range of vehicles including Hybrid Technology vehicles and Motorcycles. We cover everything from scheduled maintenance to major mechanical and body repair. Get a great deal with our promotional offerings, and schedule your service appointment.
" Specializing in turbo/supercharger installations, racing clutch kits, camshaft gears, pulley kits, boost controllers, headers, and all other high performance modifications." Whether it’s a routine oil change or a more complicated engine repair, there’s no better place to take your vehicle for service than Honn-Auto Repair. We have the right tools to diagnose any problem and the right parts on hand – original-equipment Honda Genuine Parts and high-quality replacement parts – that are recommended for your vehicle. In AZ, only licensed 2G smog stations are authorized to perform emissions related repairs to your vehicle. That's why we employ a 2G technician, and it's why we've licensed our shop as one of the few 2G emissions repair shops in Mesa, AZ. 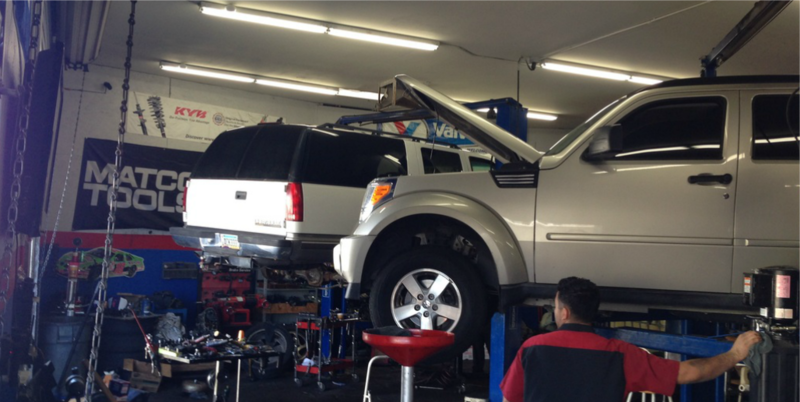 We know how to diagnose and repair your vehicle in order to get it to pass the smog inspection. Failed your smog? No problem-- we'll make the right recommendation and repairs to get your vehicle to pass - guaranteed or it's free.